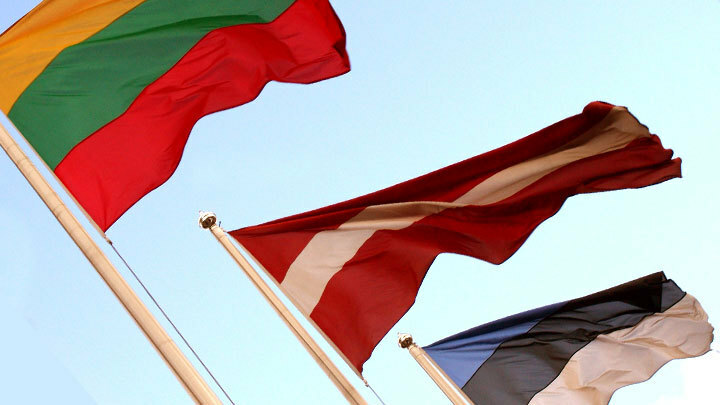 The Baltic countries — Estonia, Latvia, and Lithuania — have achieved relative European prosperity at best in a few decades. Such a conclusion was contained in the final declaration of a large conference organized by economists of SEB Bank, which was held recently in the Estonian city of Viljandi. Entry into the "big European family", which the Baltic countries carried out 25 years ago, does not guarantee dairy shores, fertile rivers and thousands of salaries. The withdrawal of representatives of the bank (SEB) Skandinaviska Enskilda Banken, the largest bank in Sweden, which invests in Latvia, Lithuania and Estonia, is disappointing for Balts. Economists at this bank believe that the former Soviet Baltic republics will take several decades to achieve a level of well-being in the northern countries of Europe. It was about Finland and Sweden. The most prosperous in the north of Europe - Norway - was not even considered. The event in Viljandi just had to compare the indicators and determine the ways to achieve the goal of the Balts - to become the same as Europe. But “how Europe” can become only by the end of the XXI century, and even that is not a fact. The economy after the release of the shackles of the damned Soviet past is almost gone. And ahead are the problems of demography, mass departure and all the charms of tolerant Europe. It is human nature to compare yourself with those who are even better off. The Nordic countries are not far from us in terms of both geography and culture. Therefore, residents of the Baltic States like to compare themselves with the prosperous Scandinavia. Even after the correction of living expenses, the GDP of Sweden and Finland per capita is one and a half to two times higher than the level of the Baltic countries. An interesting observation from the Baltic press: it is noted that over the past five to seven years, Lithuania, Latvia and especially Estonia have managed to achieve economic growth, “however, the future development prospects are unclear.” In particular, because labor costs are rising. In this regard, it became unprofitable for western investors to open enterprises in the Baltic States. SEB analysts recognize that it will take several decades, perhaps even several generations, to achieve the welfare level of the northern Baltic countries. This was not mentioned in the conference room in Estonia, but the reasons for the lack of breakthroughs in the local economy lie in the fact that with the accession of these countries to the EU, the Soviet and Russian imperial past was eliminated. Including the decisions of the new "Big Brother" - the EU. In Latvia, the largest metallurgical plant Liepāja Metallurgs, which gave 15% of the country's GDP, went bankrupt. Brussels initially banned the purchase of scrap metal in Russia, then rejected contracts with its neighbor - Kaliningrad. Now the plant drains a miserable existence, the workers have departed to other countries. In Latvia, there is also no more fishing fleet, no agriculture, fish processing and sugar beet processing enterprises. The ports of Ventspils and Liepaja stand idle after Russia redirects its cargo flows to its own ports after the russophobic rhetoric of Latvian politicians. The legendary RAF, the radio-electronic industry, which the republic was famous for, also collapsed, does not work. The situation is similar with Lithuania. The port of Klaipeda reduced shipments by two thirds due to Russia's response to the attacks of Lithuanian President Dalia Grybauskaite. The basis of the country's economy — Russian transit of cargo by land — also suffers great constraints for the same reasons. If you find yourself in Klaipeda, Kaunas, Palanga and even in Vilnius, you will find a noticeable absence of people on the streets. Up to a third of the population left for work in other countries. The situation is a bit better in Estonia, which in recent years has focused on the development of the digital economy. But without a real economy, which collapsed with the help of Brussels, it will be difficult to achieve growth points. At a conference in Viljandi, Swedish economists criticized all that was possible: the lack of investment in the research and development of markets, the low recognition in Europe of those goods that the Balts still produce. The education system of the Baltic countries, which does not produce specialists in technical disciplines, has been criticized. According to the forecast of SEB Bank, the economy of the Baltic countries from 2019 will grow even slower. Including due to the continuous growth of the number of workers leaving in search of a better share. But there are worse things to do with the economy. Lithuania, Estonia and Latvia are declining steadily in the population. Citizens of these countries are fleeing to England, Ireland, Germany, Sweden, Finland. Lithuanians and Latvians become part of English or German Europe, gradually moving away from their homeland. Back from Europe comes a stream of modern gender trends. Slowly, the Baltics are integrating "refugees" from Africa and the Arab world. The trend is becoming irreversible on all items. Thus, the Baltic states risk losing their identity and growing old.